I got my first CD player during Christmas 1995. I was 13. Up until this time, music to me had been limited to whatever I could find on the radio (which I couldn’t rewind), Disney princess movies, other fluffy movie and show soundtracks. My grandmother had season tickets to Broadway musicals and Classical Series and so I drowned in those, willingly. That music also made up the majority of my tape collection. On the way to school I was able to hear the radio but my mother preferred country against our “harder” choices. We would bond over many of the bands from her time but I still never had what I considered true musical freedom until Christmas 1993 with the arrival of my first CD player. I see this as a definitive moment in my musical development and the start of a major addiction. I was 15, had allowance and I needed things to spend my money on. I would eventually join Columbia House, BMG Music (both no longer in existence as CD selling companies)and all the other companies that gave me music on the cheap. I would scam them using multiple names, ending up with tons of CDs and not enough time to devour them all. It was the start of my searching; searching for music that filled a hole. I was given two CDs with my new CD player. 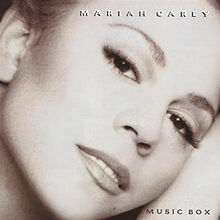 My parents, knowing my love for singing and pop culture, gave me Mariah Carey‘s Music Box. My Uncle John (unsure of his motivation) gave me Simon and Garfunkel‘s Bridge Over Troubled Water. I would come to memorize every one of the songs on both CDs within days. I fell IN LOVE with Simon and Garfunkel while Mariah Carey disappeared in the back of my CD case after a few months and eventually from my memory. I was immediately turned on emotionally and spiritually by Bridge Over Troubled Waters. I was 13. I struggled with anger and teenage angst and this CD connected with me on so many levels. The voices, the lyrics, the music. A simply stunning CD. More importantly, it opened me up to a time period in music that I had missed…the 70’s. A few months later, I would find Jerry and the musical hole within me would be filled. There is so much to say about it but I won’t bore you with my run-on stories. 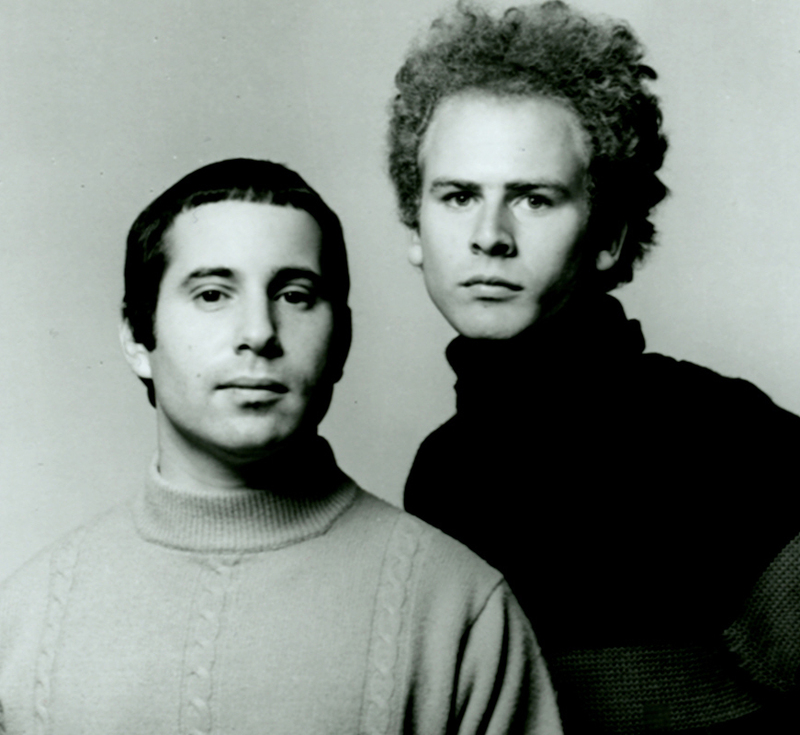 My point is that my connection with Simon and Garfunkel runs deep. Paul Simon is sort of my Bob Dylan. I can hear you all screaming now but it’s true. He may not win in your books for the highest award of lyrical and/or song construction but in my book, he is #1. The Auditorium Stravinsky stage, described in full in my Overview of Montreux Jazz Festival Post, was littered with musicians. I noticed an accordion, a xylophone, a piano, three guitars, a percussion section, one bass, two drummers, a piano and keyboard, horns, and a violin (I think). Paul Simon’s desire to incorporate multiple multi-cultural instruments is a huge selling point for me being someone who likes to see change and diversity in her musicians. Simon ranks up there with Bela Fleck for going out in to the world to be the hungry learner, the constant musical hunter. I find so much beauty in musicians like that. We need more musicians like that. This would be my first time seeing Paul Simon live. This was an epic moment for me. I felt giddy, like a school girl (pun intended) going to see her first musical crush. I imagined seeing Paul Simon many times in my life but I never thought the first time would be in this amazing auditorium in Switzerland. I had to cross the world to make it happen and I couldn’t be happier. The show was in The Auditorium Stravinsky and we were in the #3 box seats instead of #4 from the night previous. I wondered if any stars would surround me again. Esperanza Spalding and Paul Simon had been my box neighbors just a night earlier as I watched The Miles Davis Tribute. Tonight’s show would consist of multiples titles off Simon’s latest CD, So Beautiful or So What. The CD is built around his acoustic guitar and as the title suggests, the songs consist of views on extremes. However, his projections find themselves somewhere in the middle. His songs lie between the worlds of love and indifference, good and evil, hope and heartbreak. He speaks on everything from Christmas shopping to suicide bombers to Global warming. It speaks of his nephew, who has been on multiple tours of duty to Iraq to Jay-Z and Jesus. Singer-songwriter Paul Simon was listening to a box set of old American recordings one day. Among the songs, he found a Christmas sermon bearing the voice of Atlanta’s Rev. J.M. Gates, a hugely popular preacher in the 1930s and ’40s. That sermon stayed with Simon, who turned it into a song. Simon started his set with “Boy In The Bubble,” the opening song on his 1986 album Graceland. Simon’s lyrics deal with the complex human consequences of modern technology. Do you recall the Boy In The Bubble from the 1980s? Ironically, this was a perfect start to a show that would continue on with songs highlighting intense issues. “Dazzling Blue” followed and was the first song performed off Simon’s latest album. The song has a heavy African vibe; the stage was cast in a blue curtain of light with the majority of light on Simon alone. Beginning with a talking drum from India, the audience was immediately given access to the love that Simon has for different styles and texture of sound found in various cultures around the globe. American rock drumming initiated the beginning to “Fifty Ways To Leave Your Lover,” a 1975 hit song from his album Still Crazy After All These Years. The stage was filled with green light and Simon sang about the song’s mistress and her humorous advice to a husband on ways to end a relationship. The bluesy title track, “So Beautiful or So What,” off Paul Simon’s latest album, began with two wooden bars being clapped together. The song verbalizes a lesson about life being what you make of it. I swear I heard a telephone ringing as part of the chorus. It was totally prevalent but I am not sure it was part of the song. At the time, it didn’t surprise me but it made me curious. I loved this song, with its full sound and rock sensibilities. There was a spoon on metal solo, accordion overlay, beaded shakers kept the beat and Paul showed his picking skills. One thing about Paul’s music, the sounds he conjures out of the various worldly instruments he employs in his music is what truly sets each song apart from the next. Using his mouth in an unusual way to intro the song, Paul Simon chose another oldie, “Slip Sliding Away.” The best way I can describe these mouth sounds would be like when the drawings in the cartoons would take two coconuts to make the sound of a horse walking. It was gorgeous…until there was an equipment malfunction. Paul paused, tapping his fingers on his guitar until his other guitarist strapped in. Flutes and harpsichords were being played but I couldn’t figure out who was playing the beautiful sounds. Simon accompanied the beauty with whistles and the song ended with acoustic scaling and whistling by Simon. “Peace like a River,” the 7th song of his 2nd studio album, highlighted the piano. Paul’s voice cut right through me. There is something so calming and soothing about his sound. The softness is romantic yet there is fierceness in his delivery that comes off as pure professionalism and eagerness to be different. Four drumsticks counted off as both drummers began the lead into “The Obvious Child.” This song is defined by it’s Latin-inspired rhythms and is off The Rhythm and Saints album released in 1990. Reminiscent of a Big Band feel, we started moving in our seats. Paul Simon knows what I like, he truly does. Bright red lights blew up the stage as Josh was so moved he got up to dance. Did Paul know his favorite fans were in the audience from NYC? Did he know that the NYCers who were there loved this next song? Perhaps not! But I like to think he did as he broke into “The Only Living Boy in New York.” This song touched me deeply as it was the only song sung off Simon and Garfunkel’s 1970 release, Bridge Over Troubled Water, one of the greatest albums to ever grace this planet. 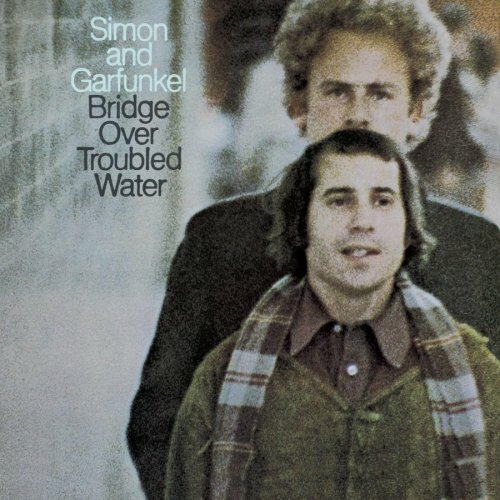 The irony was not lost on me that on the album it is Art Garfunkel who sings the song while Simon takes a secondary position in the delivery. Not this time. Not tonight. The tears trickled down my cheeks freely now. It had only been a matter of time before I knew this would happen and I did think it was going to happen sooner then it did. It took eight songs to rip into my heartstrings. I was immediately transported back to being 12 and hearing his voice for the first time and I prayed that he would sing more songs from this album but it never happened. On “Questions For The Angels,” a middle-aged man strolls across the Brooklyn Bridge searching for heavenly help, only to be confronted with a Jay-Z billboard for a reply. And the new day is born…. Can I just give props to Paul Simon for picking on Jay-Z? I don’t want to condone any negative tension but I find it hilarious, although not surprising, that Paul Simon chose these lyrics. It makes me recall the feud between NAS (who I am seeing tonight with Damien Marley) and Jay-Z. Would this bring Jay-Z down on Simon? Will there be retaliation through lyrics? Can you imagine that going down? Now, that is some musical drama that I would be interested in seeing take place…just saying. It was back to the old school, this time with songs from Simon’s most famous album, Graceland. At this point I just couldn’t take notes anymore. I had to dance this out. 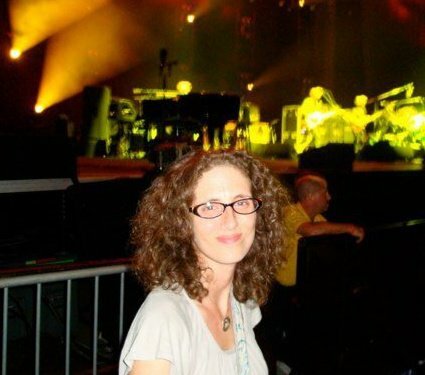 Other members of the audience felt the same way as they were lifted out of their seats during the dueling drummers solos during “Diamonds On The Soles Of Her Shoes.” The song is a pure classic about a short relationship Paul Simon had with a diamond mine owner’s daughter, while recording in South Africa. She was very rich and privileged, yet she acted very down to earth, like a poor girl. The drummers were amazing playing off each other and I longed for a concert of just drummers. Can you imagine? I can. The Lady Smith Black Mombazo inspired song “Gumboots” kept the dance party going. This song reminded me String Cheese meeting Bela Fleck. There was picking on the guitars and a violin entered the mix. The piano player got up and played the inside of his piano. There was such a wonderful mixture of sound and it kept us all on our feet. It’s a beautiful song inspired by The Gumboot Dance which is an African dance that is performed by dancers wearing Wellington boots. In South Africa these boots are more commonly called gumboots. The rest of the band joined the stage for “Kodachrome from 1973” This song left the hall so full of sound. Great sound. My friends and I were all up dancing in our box. There was no calming us down. There you have it 🙂 The end of the set. Exiting the stage to monstrous applause, the entire band left. The entire audience began clapping in unison without letting up. Shortly after, Paul came out alone on his acoustic guitar. When the notes trickled from the stage and the audience heard “Sounds of Silence,” the Auditorium went silent. You could hear a pin drop. “Hello darkness my old friend”…and with that, the tears flowed freely again. This was definitely the most intimate song of the night. It tore at the heart strings, it made people smile, scream and feel something inside of them stir. Paul’s music does that to you. It’s such a classic song that everyone on the planet knows and is touched by it. Then the audience joined in by humming the lyrics. A single man and his guitar was standing alone on one of the world’s most famous stages and had the entire placed entranced. It was magic. It was awesome. It was music at its simplest. Music at its best. “Here Comes The Sun” was the second choice with accordions and two guitars with Simon backing the melody. And with that, the stage emptied again. The following video has “Sounds of Silence” into “Here Come The Sun.” Enjoy! Everyone walked off stage and for a few minutes the audience just chanted in unison. Paul Simon came out yet again for a second encore. There was no end in sight and that was awesome. I took out Josh’s Iphone and video taped “Crazy Love” in it’s entirety with GREAT quality. Enjoy! “Still Crazy After All These Years” was next. Paul didn’t have an instrument for these songs. Just his voice. “Call Me Al” ended the set. Everyone was finally up dancing now. Dancing down below me and clapping. The flute player moved to the keys. There was a major bass rage. Only a few seconds but so funky! You know the bass line I’m speaking of?? At 70 years old, Paul Simon shows no signs of slowing down. He is a master of his art, with a soft, intelligent voice, that attains an unmatchable sense of melancholy and tenderness. Regarding his latest cd, anyone who can take a sermon and build an entirely new outlook on life through it by music is stellar. I was moved and inspired by this show and I hope that this article touches you in some way that makes you go out and purchase the new album or perhaps invest in seeing him live. Simply Phenomenal.